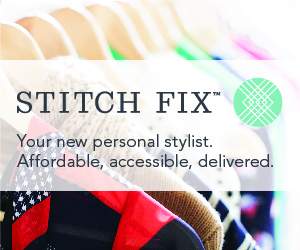 So I got my box from Stitch Fix this week! Yahoo! It's always such a treat! This time around I got this absolutely fantastic dress. It's so flattering on, I feel like this picture doesn't really do it justice. It's something you could wear out to dinner, or to work. Maybe pair it with a jacket. I am thinking maybe it needs a fun belt. What do you think? Someone snuck in for a few photos... he wasn't happy Mama was doing a photo shoot. He wanted a snuggle before breakfast instead, so I obliged.